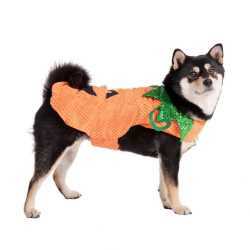 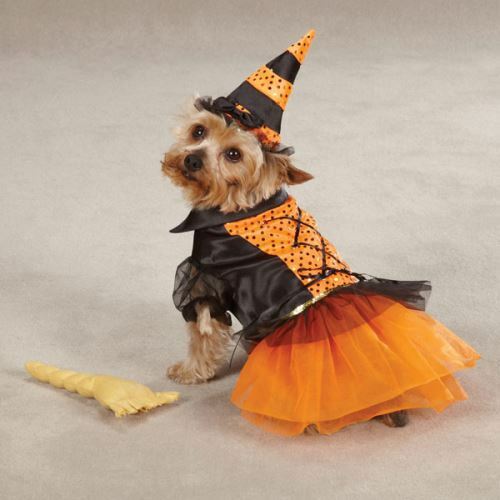 Pets will be spellbound by the Spellhound Witch Dog Costume by Casual Canine. 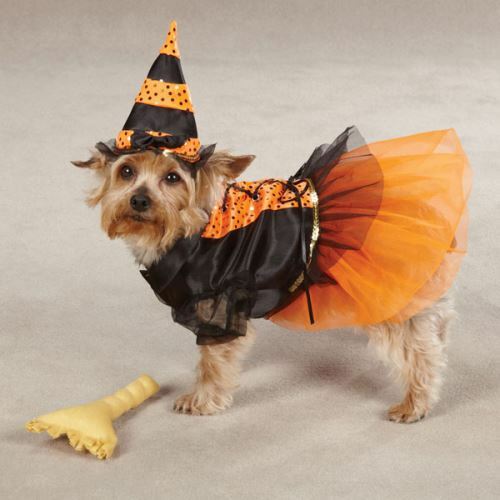 This adorable polyester satin Spellhound Witch Dog Costume costume includes a matching hat and plush broom toy with squeaker. 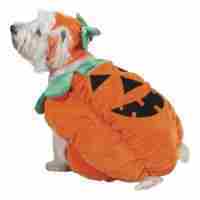 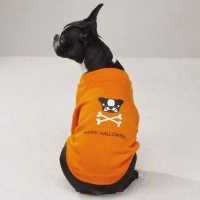 The Spellhound Witch Dog Costume features orange sequins and a lace-up back with Velcro closures at the neck and belly.